A measure currently being considered in the Legislature, however, — House Bill 220 – the National Retail Fairness Act, could turn the intent of House Joint Resolution 12 upside down. 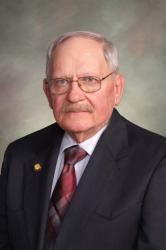 Bill sponsor Rep. Jerry Obermueller (R-Casper), a brilliant, retired Certified Public Accountant, has no doubt prepared corporate tax returns for decades. He clearly understands that corporations not based in Wyoming are taking what they earn here back to their home states to be taxed there. Testimony from experts confirmed that out of state corporations are quite indifferent to whether a state imposes a corporate income tax. This is because any corporate taxes paid elsewhere are credited against corporate taxes due in their home state. Thus, paying taxes in Wyoming doesn’t raise their overall tax bills. The only difference is where those tax dollars go. If non-home states don’t impose the tax, the tax revenue simply goes to their home state. In short, there is no national corporation that has an economic argument against paying corporate income taxes in the states in which they do business. Wyoming corporations doing business in any of the 48 states that have an income or gross receipts tax are required to pay this tax in each of these states and have done so for decades. These businesses, however, have been vocal in opposing a Wyoming corporate income tax in the past. This resistance has persisted for decades and was no doubt instrumental in passing the Joint Resolution that fostered that fostered Article 15, Section 18 of the state constitution. House Bill 220 has been crafted to minimize objections from Wyoming corporations — at least from an economic basis. One of the reasons for this is the state constitution. Remember, thanks to Smith’s 1973 resolution, any state sales and use taxes, as well as ad valorem taxes, must be subtracted from an entity’s corporate income tax bill. If a corporation is housed in Wyoming, it presently pays considerable amounts to state and local government by way of these existing taxes all of which would serve as a credit toward any state corporate income tax. Ironically, in the absence of Article 15, Section 18, it would be politically difficult, if not impossible, to even consider a corporate income tax in Wyoming because of the financial impact it would have on Wyoming corporations. This is the crux of the unintended consequence of Resolution 12 enacted during the 1973 legislative session. A credit for these existing Wyoming taxes is also applicable to non-Wyoming corporations doing business in our state. The difference, however, is that for these businesses, the taxes due in Wyoming are small relative to the business activity undertaken here. The bulk of their corporate activity occurs in their home state where excise and ad valorem taxes are likely to be substantial. The narrow applicability of the tax reduces significantly its potential revenue. Economic analysis staff are suggesting it will only raise about $45 million per year. In my opinion, that number may even be somewhat high. House Bill 220 will only impact Wyoming domiciled businesses if they are organized as C corporations, and then only if their tax credits for sales and ad valorem taxes are insufficient for crediting all of the income taxes which would otherwise be due. The mineral industry is logically excluded because their tax obligation is already substantial. Manufacturing is also excluded from the proposed tax and is not problematic because we have so few manufacturers in the state organized as a C corporation. A few days later in the Senate, on Feb. 19, 1973, the final vote was 19 in favor and 11 against — one vote short of the needed two-thirds majority! The next entry in the digest dated Feb. 21 includes the notation that the third reading vote two days earlier was ordered to be “expunged from the record.” The next entry in the digest indicates that the new third reading resulted in a vote of 24 in favor and six against — with five senators apparently changing their mind from two days earlier. One can’t help but muse about what might have happened during the last 46 years had the initial third reading Senate vote not been expunged. It is a sad day when states consider them out of step with other states due to their lack of a smorgasbord of taxes. This is just the first step in raising taxes on everyone in the state. If raising taxes is what it takes to be in step, count me as one who wants to see us remain out of step. The continuous knee jerk reaction to any and all taxes being bad is misplaced. Our schools, roads, prisons, and health care require enough taxes to pay for them. As energy industry contracts we have to find ways to offset the loss of taxes there. 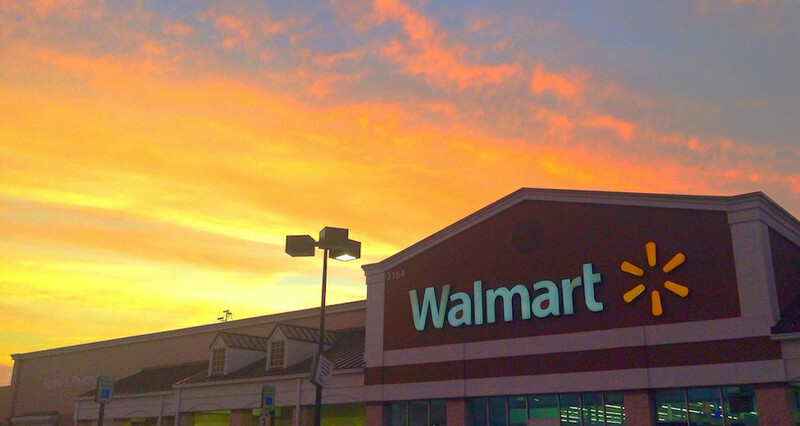 The large monopolies like Walmart and Amazon have driven small Wyoming businesses under. Those job losses and the profit sent out of state reduce our state income. We can’t expect the federal government to make up these deficits as that budget is being pressured from foolish tax cuts already. So we need to consider alternative taxes to keep the state budget in the black. It is good that a few in our legislature are trying to find revenue and not let our education system degrade. Mike, this is an exceedingly well=written and researched piece. You are an important addition to Wyofile and your experienced voice is really appreciated, thank you. 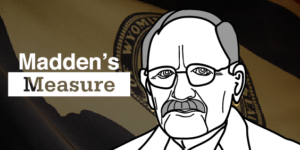 As an aside, I think Wyoming will also owe thank to Nels Smith for his statesmanlike work on this and other important laws long after his towering presence and basso-profundo voice are gone.